The music program includes instruction in skills and techniques involved in playing both the keyboard and string instruments, practice in musical interpretation, musical expression, and music theory. Music history and career awareness is also incorporated in the curriculum. Students receive small group instruction, participate in large ensemble classes, and perform throughout the year in many venues within school and in the community. Music students progress towards maximum personal achievement in both music disciplines. The program culminates with a musical performance. 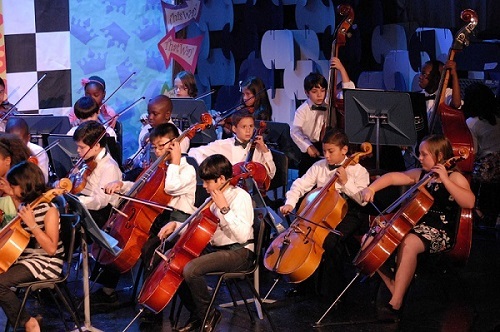 Our students attend numerous field trips to see professional and youth oriented performances around the community, such as the South Florida Youth Symphony Orchestra. In addition, they will also be involved in a number of performances throughout the year featuring them as young developing musicians. 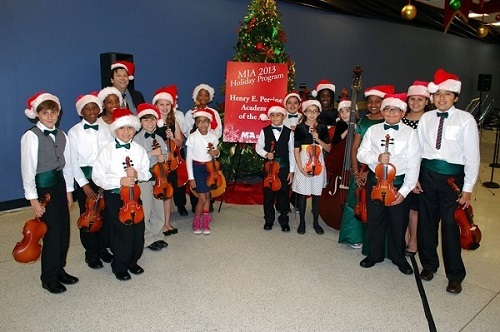 We have had students accepted into the Superintendant Honor's Keyboard and String Orchestra. Demonstrate rhythmic accuracy by clapping patterns presented by the teacher. Demonstrate matching pitch by echo singing patterns presented by the teacher. Improvise a short musical phrase. Sing the “Happy Birthday” song to demonstrate ability to stay on pitch. Need to bring your own instrument if applicable. A piano is available.